Elite Women's Care Center (Houston) - Book Appointment Online! 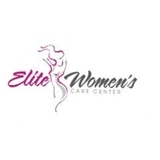 Elite Women's Care Center is dedicated to providing women the most advanced obstetrical, gynecologic and wellness services in the West Houston Katy area. Our practice includes two OB/GYNs Dr. Torri Pierce and Dr Nesochi Adimorah, and our certified Nurse Practitioner Enka Robinson. We are committed to providing compassionate, patient-centered, high quality care that is available from female adolescents to postmenopausal women. Through preventative counseling and education, we strive to promote the advancement of women in our community. Welcome to our practice! We are honored to be your partner in women's healthcare and wellness. I just love Enka! She's professional and caring, and I highly recommend her. Dr. Torri was awesome! From the time I entered, and was greeted by the receptionist, I knew I would have a great experience. I highly recommend this office for great quality care!